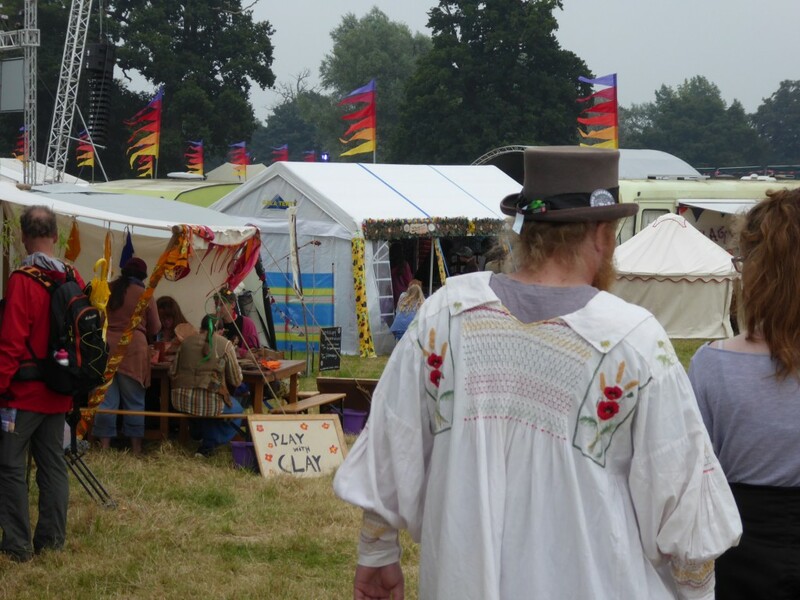 I have had a couple of great days at the FolkEast Festival and as a first timer I wasn’t really sure what to expect. 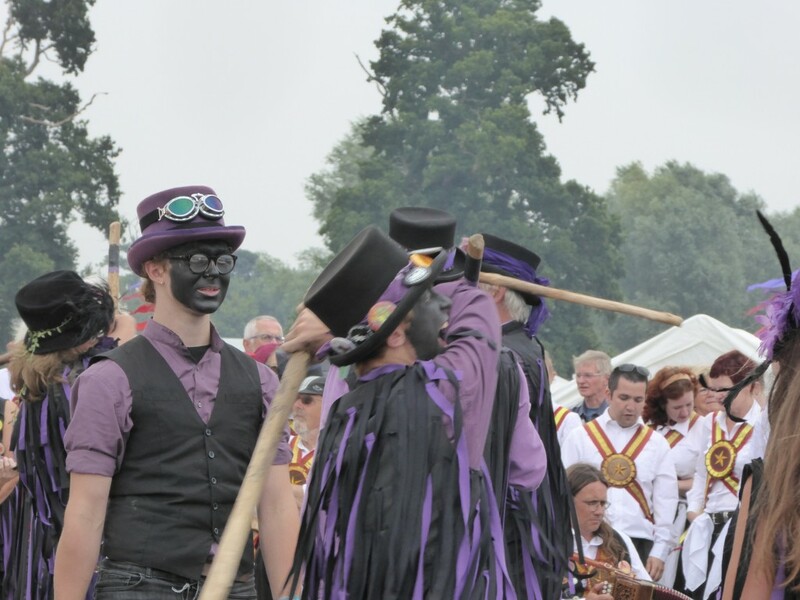 As well as the many music stages there is lots more going on too; workshops, activities, stalls, food and more – lots to keep you entertained, amused, surprised and to make you smile. Here are some of my highlights in photos! Lots of music to enjoy! 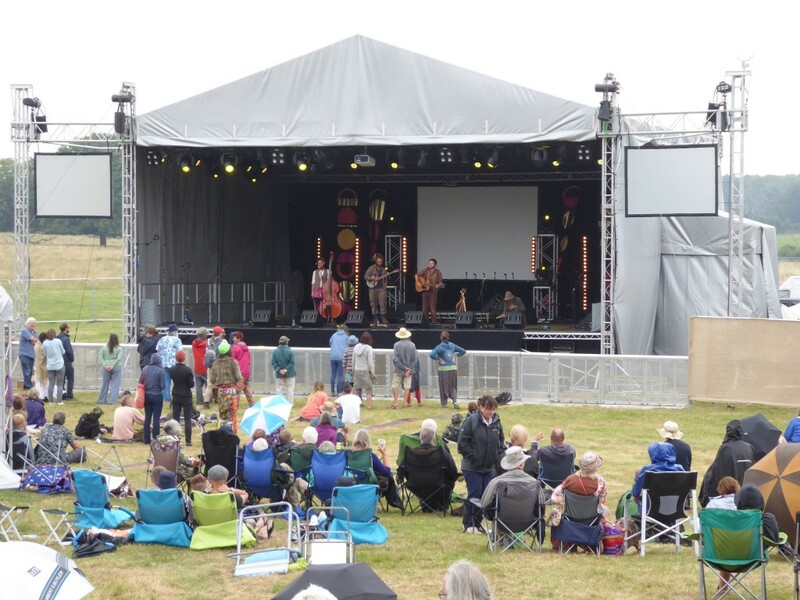 It’s so nice to see everyone relaxing and enjoying the music around the wonderful grounds of Glemham Hall. As well as the outdoor stages, there are lots of tents are dotted around to pop into! Well I wasn’t expecting to see that! I have never seen anything like this before! 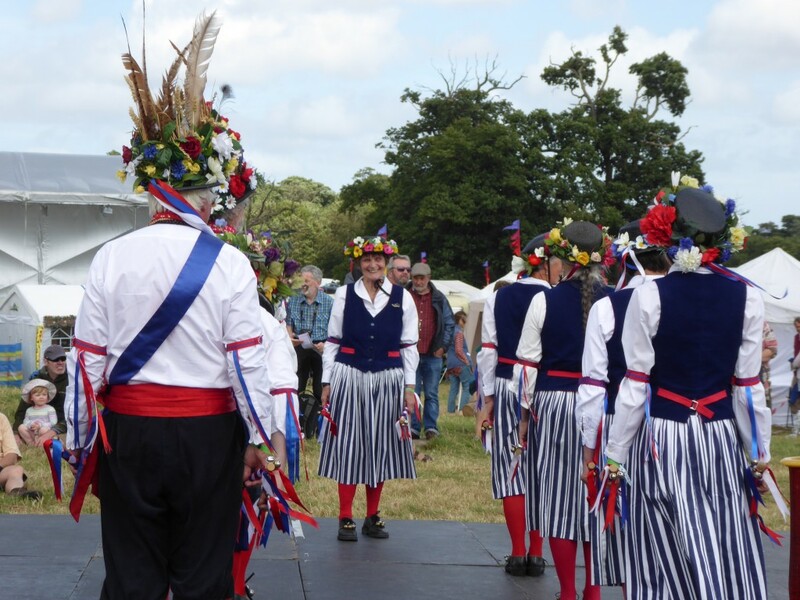 The many different groups of dancers at FolkEast entertained the crowds and made everyone smile. There were so many dancers that they had their own camping area “Morris Town”! There is a lovely relaxing atmosphere as you walk around discovering all that is going on. Lots of workshops to enjoy! 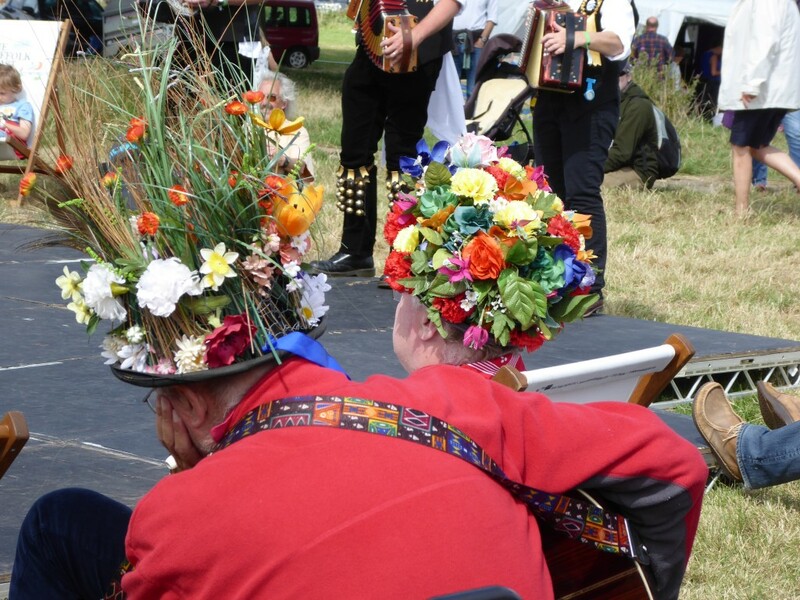 Whilst walking around all the different workshops it was great to see people trying their hand at pottery, knitting, felt making, sketching, banjo & fiddle workshops…just too many to mention. I even tried my hand at bell ringing – I can tell you it’s a lot harder than it looks! 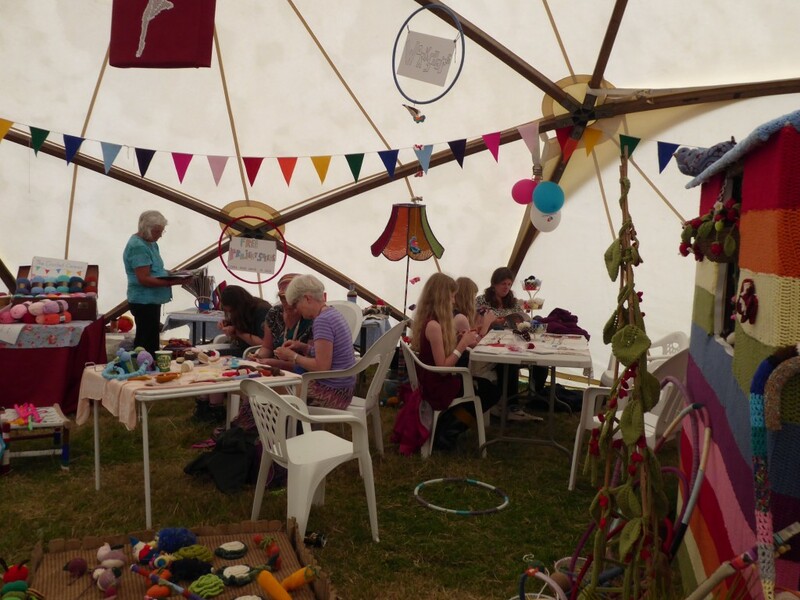 I then came across the wonderfully colourful Social Knitworks tent. 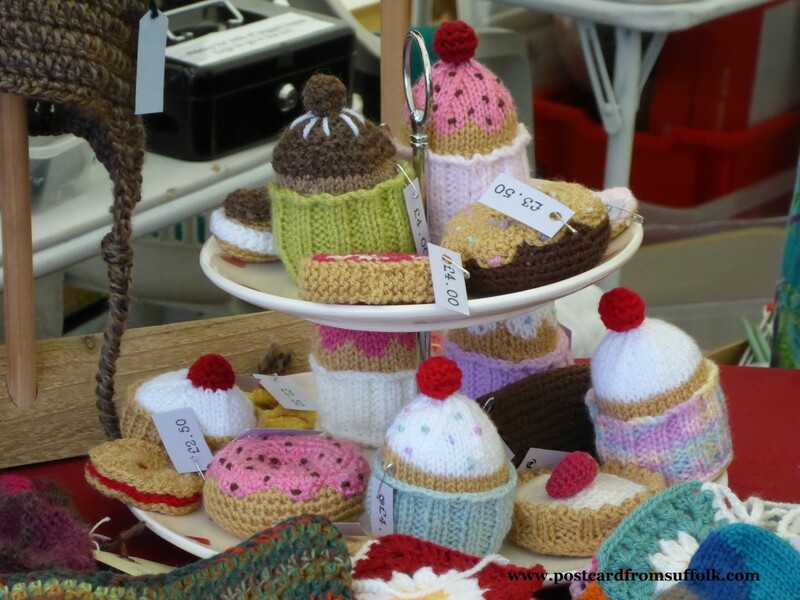 What lovely cakes…and no calories!! What a great couple of days. 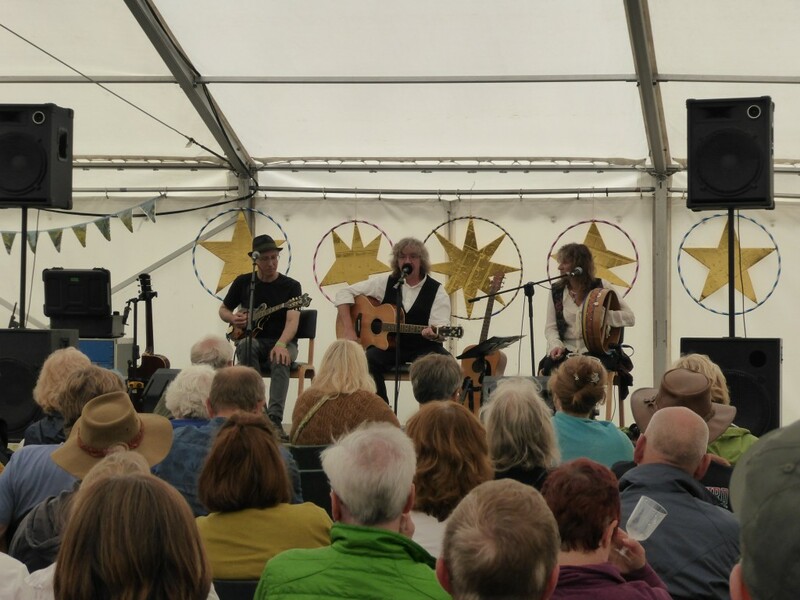 I have met some really lovely people and very much enjoyed attending my first ever folk festival!